Have you ever thought of owning your own business and become your own boss? Your answer is probably yes. 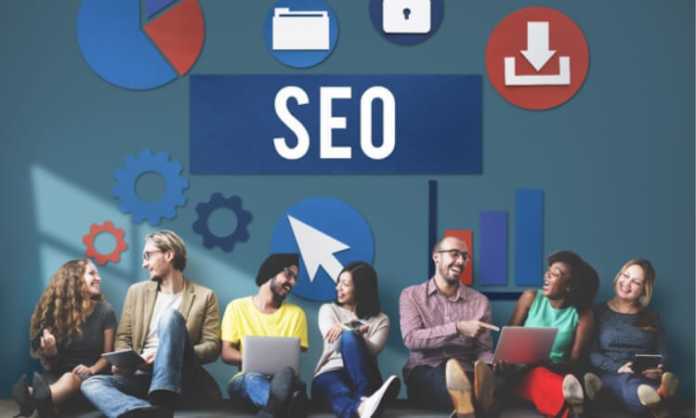 If you are interested in starting a business with a fairly low initial investment, then starting an SEO agency might be for you. Just like any other business, starting an SEO company requires good preparation and a solid business plan. Lack of preparation may result in potential failure and loss of money before you even begin. There are many SEO agencies out there serving both small and large websites. There are also millions of websites managed by people who have never heard about SEO in their life. You need to reach them. So, what systems and tools do you need to start an SEO agency? Initially, there used to be SEO agencies that served everyone. It is true that SEO services are the same regardless of the industry. However, it is much easier and more effective if you can decide on your focus. Deciding on your focus involves making the decision on what industry you are going to deal with and the scale. Picking an industry enables you to handle customers in the language they understand. For instance, you can decide on local contractors, local businesses, legal companies, automotive companies, and so on. This doesn’t mean you have to send customers away because they operate in a different industry. Just as I said earlier, SEO services are the same irrespective of the industry. I once landed on a website dealing with plumbing services, but the name is tech related. Imagine you are a reader searching for plumbing products. If you come across a domain name related to computers, then you probably won’t even consider visiting the site. Choosing a good brand name is as important as selling your services. Both brand name and domain name should be simple, appealing and easy to remember. Try to relate your brand with the services you intend to offer. Take your time before deciding on the brand as it’s harder to change it later on than it is from day one. You must understand the purpose of your business. Write down all of the services you want your SEO company to offer. Some of the services you can consider offering include link building, citation building, content creation, blogger outreach, content marketing and SEO audits. You can outsource all of these services to a white label SEO services provider like Linkredible. They can carry out all of the SEO tasks for you such as the blogger outreach and guest posting. After completion they will deliver a white label report to give to your clients with your own logo and branding on it. You might ask why would you want to do that? Well, learning all of these procedures right from the start can be a bit overwhelming and time consuming. If you can outsource all of these tasks then all you need to focus on is landing clients and delivering reports to them after the services have been carried out. This makes it much easier for you to get started as it shortens the learning curve tremendously. In most cases, you will interact with your clients through the website. This means that your website needs to look the part. If you have no experience in creating websites, there are a lot of professional web designers who can help you out for a fee. Depending on the scale of your business, WordPress websites are very easy to set up. You do not need professional skills to do this. Some people use WordPress to create stunning looking websites. You can use a predesigned premium WordPress theme to give your website a very professional look for a fraction of the price of a custom designed one. Building a high-quality website that looks good is the key to success but can be somewhat expensive if you pay a professional to design one from scratch. You can learn how to create a website if you are feeling brave. There are many articles and tutorials on how to do this. But in order to get started as soon as possible, it’s wise to hire a professional. Customers are the core of any business. A business is viable only if it continues to receive customers. You must look for clients and let them know what services you are offering. I am not going to tell you how to start an SEO company without telling you how you can reach your clients and start making a few dollars. There are so many ways you can pull in clients. 1. Produce stunning content and get ranked by Google – Use of the right keywords whilst publishing great content will get your website ranked highly by search engines. It also makes you look good as an SEO company since you are practicing what you preach. 2. Referral/affiliate program – You can pay people commission for referring clients to you such as bloggers and people with a good social media following. 3. Give away information – You can write tutorial guides and eBooks and give them away in exchange for peoples email addresses. You can then sell to them once they are on your newsletter. 4. Advertising – You can advertise your services on Google Ads to get instant traffic to your website, though it may take you a while to be profitable doing this as there is a lot of competition. The main aim of starting any business is to make profits. Knowing how to start an SEO company would be useless if you cannot earn from the company. As I mentioned above, there are several services you can sell to earn money, such as local citation building, link building, SEO audits, blogger outreach and so on. Once you have decided on the services you want to sell, you then need to setup a payment system so people can pay for your services. Nobody will want to use to use a complicated payment method or one that may look secure. Good choices include PayPal, Stripe and Payoneer. Do not overcharge your clients as this may scare them away. As SEO agency business is a very lucrative business, being fair on pricing would mean you land and retain more customers. You must monitor the performance of the activities of your website. There is a bunch of tools that you can install to help you do this. Google Analytics is the most popular analytics tool which is available for website owners. It can track your website visitors, traffic sources and visitor behavior on your website. You will also need a rank tracker to track your keyword rankings in Google. You will also need to track your client’s rankings so that you can see what is working. There are many different rank trackers on the market such as Moz Pro and Ahrefs. In summary, starting an SEO agency is not a walk in the park. As much it is a very profitable business and one that you will not regret venturing into, it isn’t without its challenges and it requires a lot of understanding and persistence. To get the best out of it, you must be always learning the latest techniques and strategies as what works can change quite frequently. Thankfully, the internet is just one incredible source of information and there is a lot of information out there on SEO and how to start a business.